With Pinterest, seeing is believing. Pinterest’s visual distinction is more than image deep. Your content must be pinworthy. 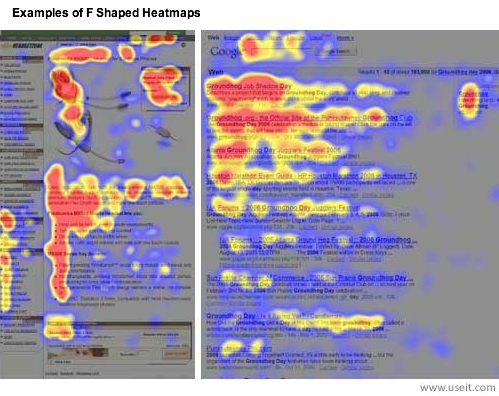 The product of this form of research are heatmaps. They reveal the amount users look at different parts of a web page. Red areas show where users look the most, yellow areas have fewer fixations, blue areas are the least-viewed, and gray areas have no fixations. Unlike most web pages where participants form a F with their scanning activity, on Pinterest participants shifted their eyes from the top down the middle of the page. 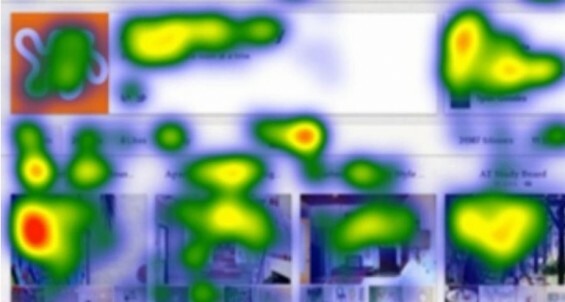 Here are five Pinterest findings from the Mashable eye tracking study. Pin position matters. Place your best images top and center on your page to get the highest percentage of viewers. People look at people. No surprise here. People are attracted to other people’s faces, not objects. It’s how we’re wired. This behavior is consistent with the performance of people’s photographs on other social media and websites. Images trump text. While completing your brand’s profile information is important, less people tended to read it. Specifically, the most viewed pins received the same or more attention than the profile. Brand pages inspire Pinterest action. Participants were slightly more likely to say brand pages rather than category pages caused them to repin or recommend information. Further these pins contained useful information. Pinterest brand pages improve brand attitude. Participants were more likely to purchase something from the brand after viewing their brand page. Provide product information. Consumers can discern when photographs are useful and when they’re not. Show your products’ features as well as how to use and style them with photographs. Make small product details large. Focus on details that differentiate your products in a positive way. Make these images easy for your target audience to see comfortably without eyestrain. Based on these two sets of eyetracking findings, here are five Pinterest tips to maximize your brand’s exposure on the social media site. Show the small stuff. Details can be presented beautifully in photographs. Use this strength to develop amazing pins for your brand, even if you’re a B2B company. Need inspiration? Check out GE’s board. Actionable Marketing Tip: Put your products on the runway. Use images that are unusual or useful. Ask if the image helps your target audience before you pin it. Get personal with your photos. Include photos of the people behind your organization. Participants and shoppers like to know with whom they’re dealing. Actionable Marketing Tip: Create a fun board of your employees. Be creative in your use of text. Think formatting for attention getting fonts and color. Above all be true to your brand. ESPNw does this well. Actionable Marketing Tip: Ensure that your text provides value to your audience and supports your 360° brand. 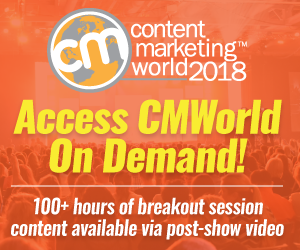 Use photographs and other images to provide unique and enticing ways for prospects and customers to discover more about your product offering and company. What other actionable Pinterest marketing tips do you have? What has worked best for your brand on Pinterest? Here are some related articles you may find of use. The 7 Step Social Media Strategy Every Marketer Needs (Note provides a structured plan. Tags ESPNw, heatmap, Jakob Nielsen, Mashable, Pinterest, Research, The Honeycomb Salon. Bookmark the permalink. Thanks for sharing your info. I really appreciate your efforts and I will be waiting for your further write ups. socialbakers, hootsuite and socialkik are great sites for social media where you can increase to your followers and fans. 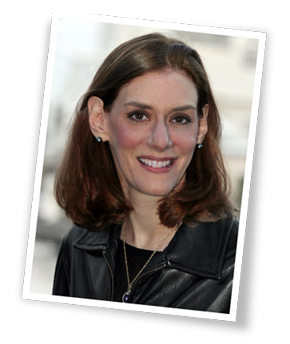 Just commenting to say that I read your blog almost daily Heidi and am constantly amazed by the quality and diversity of your content. I often read it via email so rarely comment! I find pinning to a shared board really helps the ‘virality’ of my pins and do it occasionally if the pin is appropriate to the board.